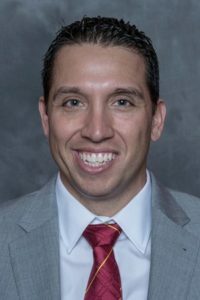 After six straight losing seasons Iowa State fans are hungry for a winner and coach Matt Campbell hopes to provide one in his first season at the helm. More than a dozen starters return from last year’s team that finished 3-9 in Paul Rhoads’ final season in Ames. Campbell says there are too many question marks right now to get an accurate read on just how successful the Cyclones will be. A concern is up front on both sides of the ball. Junior right tackle Jake Campos is the lone returning starter on the offensive line and senior nose guard Demond Tucker leads a defensive line that Campbell says has a lot of holes to fill. Plenty of skill returns on offense. Junior receiver Allen Lazard was a second team All Big-12 selection in 2015 and says his only goal for this season is to win. Mike Warren was the top freshman running back in the country last season and Joel Lanning is the established starter at quarterback after taking over the final five games of 2015. Iowa State opens at home on September 3 against Northern Iowa.